Should I Go for Floor-to-ceiling Cabinets in My Kitchen? Should I Choose a Freestanding Kitchen Island? 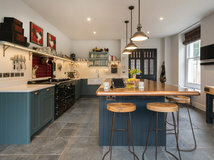 A beautiful kitchen is top of the priority list for most homeowners and, luckily, a really functional, well-designed and appealing scheme does not have to break the bank. 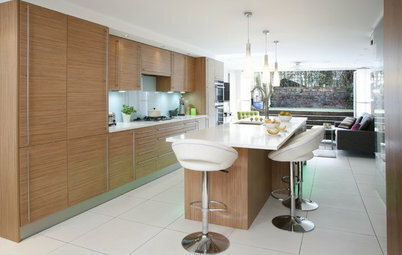 There are many alternatives to the solid wood, bespoke designs out there. Even the humblest high street example, when combined with attractive details, such as smart handles and clever shelving, can look wonderful, work hard and come in on budget. 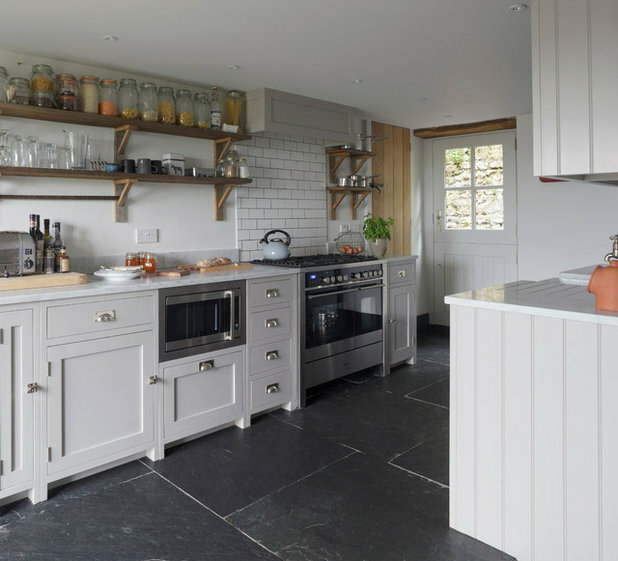 Just check out these inspiring kitchens – all utterly achievable and wonderfully wallet-friendly, too. 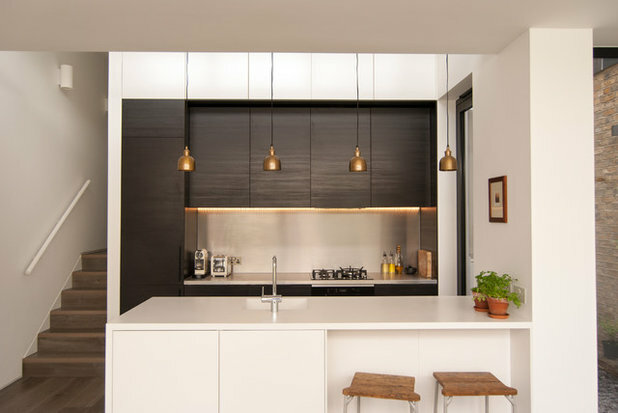 Using this treatment has huge advantages in the kitchen, helping it to feel light and streamlined, and giving any space, big or small, a crisp, clean, Scandi feel. Source inexpensive and perfectly plain units in fresh white then layer up the look with white tiles (coloured grout will add detail and definition) and shelving. 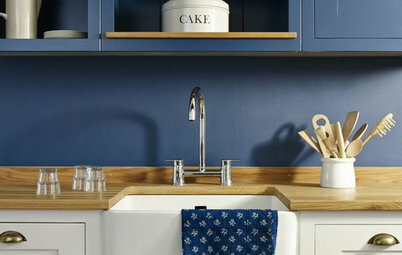 A contrasting wooden worktop will give the eye somewhere to settle and neatly punctuate the pale scheme. 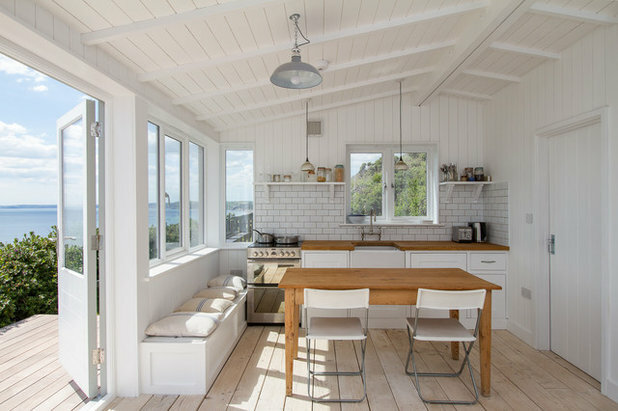 Browse thousands more white kitchen photos. To get the most out of your kitchen, no matter how small its footprint, get clever with every square centimetre. 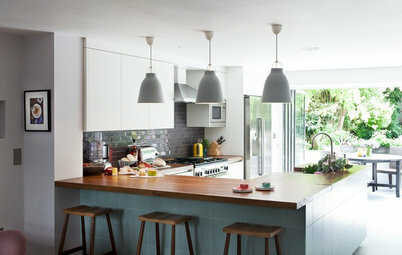 Make a worktop multi-task as a breakfast bar by extending it beyond the last unit and tucking stools underneath. 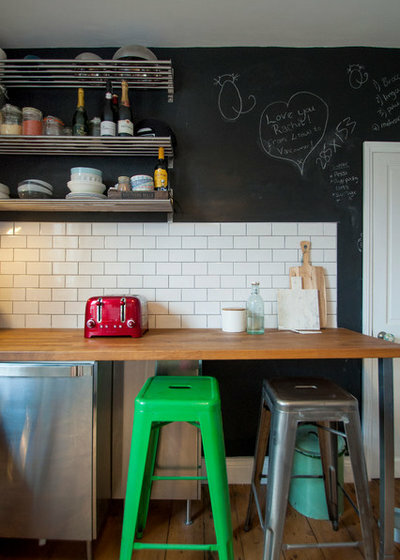 And, instead of regular emulsion, use blackboard paint so a wall can become a handy message board – and piece of artwork! Fit inexpensive shelves and install them right to the upper limits of the wall. 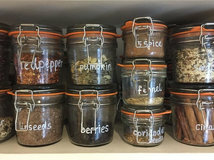 The top one may be hard to reach, but it can still provide useful storage for your kitchen kit that is only occasionally used. 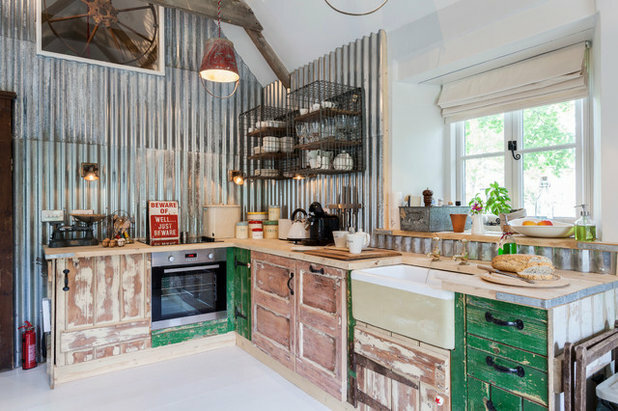 When creating a kitchen on a tight budget, consider the design possibilities of using recycled materials. If funds are limited, it’s tempting to imagine that the only option is to choose a self-assembly kitchen from one of the large retailers. 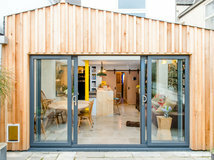 But, using reclaimed timber, brick and metal can also keep costs down while delivering a unique look. 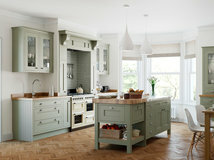 A beautifully timeless kitchen need not cost a fortune. Often, it’s the details that lift it from simple to super stylish. Choose an on-trend shade for the cabinets (these units have been painted in Little Greene’s French Grey) and pick metro tiles for the splashback. They’re classic, inexpensive and, with the addition of grey or black grout, look striking. 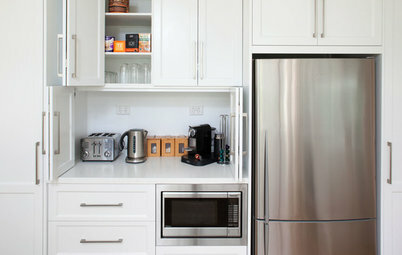 Wooden shelves can do the work of expensive wall cabinets, while smart handles add a dash of metallic gleam. Find inspiration for your kitchen with more traditional kitchen photos. The compact dimensions of a small kitchen mean that materials that would cost too much if used throughout a large space are more affordable. So, since you won’t need much of it, why not go for all-out luxury with a marble splashback and simply team it with inexpensive units? 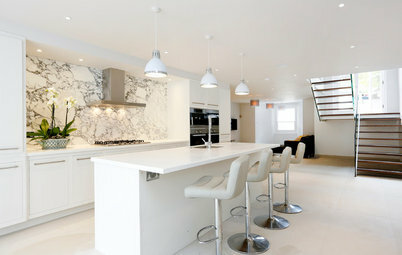 Or why not look at marble-look porcelain tiles? 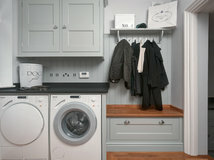 Don’t imagine that entirely matching cupboards are the only option for a small space, either. 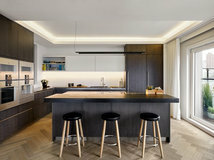 Choosing different materials for the doors on the base and wall cabinets will create variety and interest without spoiling the streamlined look. 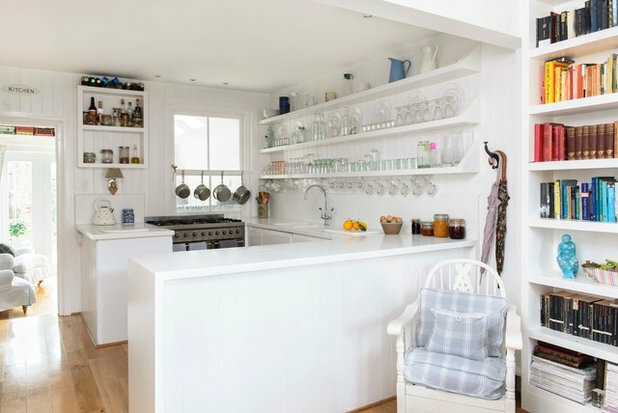 This kitchen is made up of three chunky freestanding units from Ikea and some shelving. So simple! 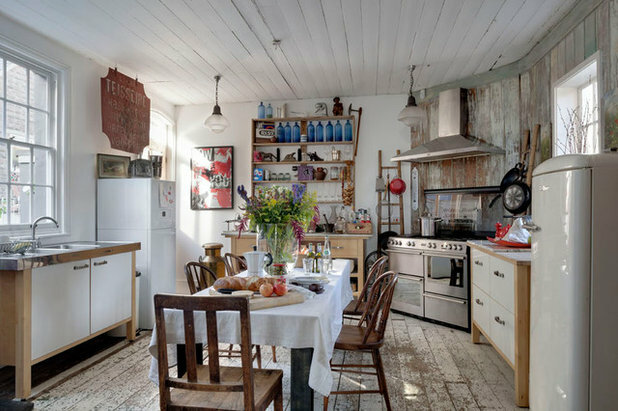 The units here are fairly unobtrusive, in fact, and it’s the distressed timber splashback, battered floorboards, vintage chairs and huge range cooker that bring in all the character. 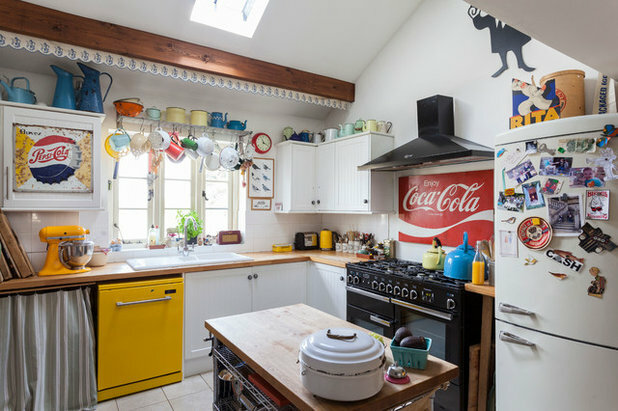 Any kitchen can look and feel welcoming when decorated with personal pieces, vintage finds, family snaps and splashes of colour and this lovely room is a fine example. Enamelware and signs picked up at antiques markets add plenty of character to the space. 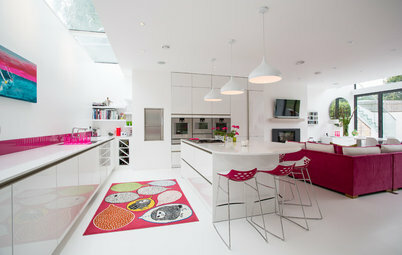 And choosing an appliance in a riotous shade rather than predictable white is another great way to add personality. 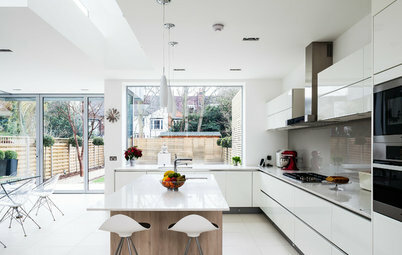 The kitchen cabinets in this beautiful space were sourced from a high street retailer. So far, so budget. 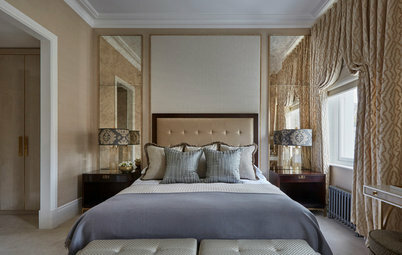 They were then hand-painted in a gorgeous shade of grey and treated to expensive handles to enhance their looks. 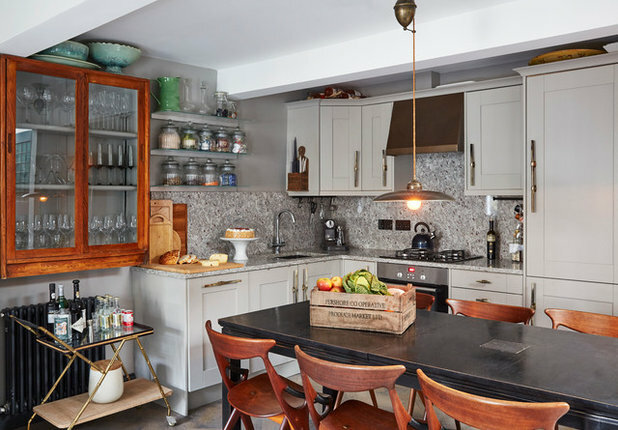 By adding a few open shelves and a vintage glass-fronted cabinet, the kitchen looks even more rich and appealing, with a unique un-fitted look. Choosing matching cabinets in two different finishes is an inspired way to make an inexpensive kitchen look more designer. 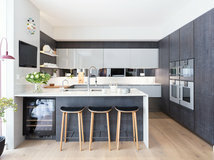 This chic scheme is kitted out with Ikea units in both white and dark finishes. The latter zone the main cooking area while the white units mark out the central peninsula and breakfast bar. 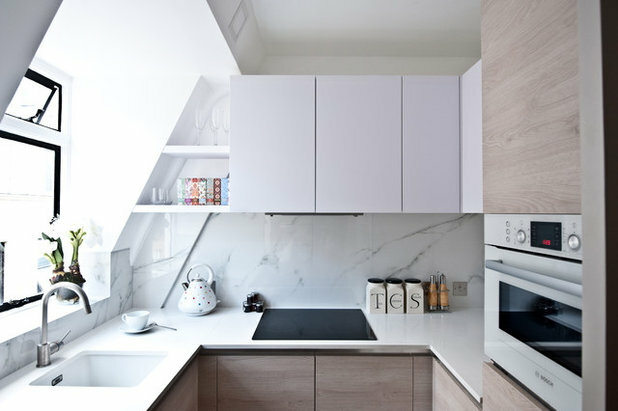 Two different worktops – white Hi-Macs and stainless steel – further demarcate the space and work in subtle texture and variety. Stick to an inexpensive and perfectly plain white kitchen and then let your accessories bring in character by storing them on open shelves. Several long runs of shelving will provide abundant storage and it’s amazing how even humble glasses and mugs can look gorgeous when thoughtfully arranged. And, since you own this stuff already, it allows you to create an attractive space at no extra cost. 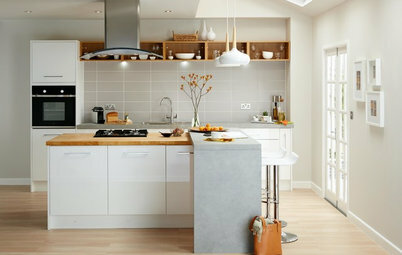 We would love to hear your tips and tricks for creating a beautiful but affordable kitchen. Please add them to the Comments below. 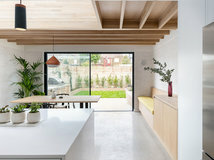 Although these are not like the showhome 'stunning' kitchens and are much nicer, they don't look like budget kitchens to me. Most of the suggestions are for something expensive to add to the cheap stuff. The appliances and light fittings look like luxury brands. The one with the cheap cabinets appears to have a copper hood.